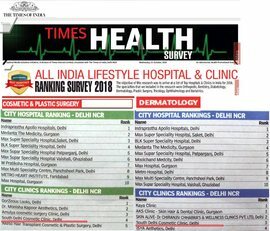 South Delhi Cosmetic Clinic (SDCC) has been established in Delhi’s posh locality of C R park in South Delhi region of Delhi India. 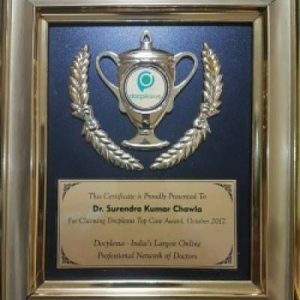 It is owned and operated by Dr. S.K.Chawla renowned senior plastic and cosmetic surgeon of Delhi and Dr Sarika, cosmetologist. 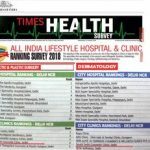 About South Delhi Cosmetic Clinic, our vision is to develop it as a place where one can experience and get benefit of our outstanding services delivered by our team. Our team of qualified professional includes plastic surgeon cosmetic doctor, cosmetic surgeon, dermatologist, Laser specialist and cosmetologist to provide you all beauty solutions. Amazing ambiance, attractive interior and friendly environment of South Delhi Cosmetic Clinic make our customer feel very comfortable. Our staff and doctors make your plastic and cosmetic surgery treatment an unforgettable experience. 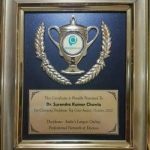 At south Delhi Cosmetic Clinic, our dedicated team is determined to make our patients dream goals a reality. We love working with people so you can be assured for comfort and your satisfaction is our highest priority. We aim to deliver you a safe, international standardized quality services with utmost satisfaction. With our latest innovative skin, hair and cosmetic surgery treatments, products and equipment we assure you to enhance beauty from inner depth and make you feel true himself. When you visit our clinic for comprehensive consultation you receive warm welcome from our staff. During consultation we not only discuss, identify and analyze your requirement and problem but also educate you so that we can formulate a personalized treatment schedule designed just for you to achieve best possible result. You enjoy and feel free to discuss any problem during pre, intra and postoperative period. Our clients positive feedback has been the best return gift for us. Their kind words encourage us to work hard so that we can give best plastic and cosmetic surgery results at affordable cost. Positive feedback gives confidence to our clients for believing in us and give us opportunity to serve them. Your privacy is paramount for us and we keep all your records confidential. We develop strong bonds with many of our patients and feel proud to see our clients confident and cheerful. We look forward to receive your valued inquiries and being of service to you in the future. Our customers valuable suggestion about South Delhi Cosmetic Clinic has been a boost to keep us improving and serving you with our best. Injury Scar- How To Remove a Forehead Skin Scar By Plastic Surgery?